Let the experts at Boca insurance company Seeman Holtz Property & Casualty help with your life insurance needs. Sometimes, we all need to contemplate our mortality. That’s not a philosophical issue, but a practical one if we want to make sure our loved ones thrive after we’re gone. Boca insurance company Seeman Holtz Property & Casualty can make that review easier. Life insurance seems pretty straightforward. You pay your premiums and when you die, your heirs receive a payout from your insurer. But life insurance is more than that, and you’ll want to know several things about this crucial financial product. Here are a few things to consider when you consider life insurance. 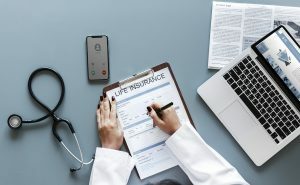 The short answer to the question of whether you need life insurance is most likely, “Yes.” It is certainly yes if you have someone who depends upon you and your livelihood. The experts at Boca insurance company Seeman Holtz Property & Casualty are ready to help you get the right coverage.